The Michigan snowmobile accident lawyers at our firm represent clients injured in recreational activities, including snowmobile accidents. Snowmobiling is a great winter sport, especially throughout the State of Michigan. Although snowmobiling provides great fun and thrilling excitement, snowmobile accidents are much too common and can result in serious and often tragic injuries. Snowmobile accidents often result in very serious injuries, including traumatic brain injuries, spinal cord injuries, knee injuries, and serious bone fractures. In many cases, they even result in death giving rise to a Michigan wrongful death lawsuit. Snowmobile accidents are caused by a variety of factors, including the negligence of a driver that causes injuries to a passenger, another snowmobile operator, or an innocent bystander. Unfortunately, intoxication is a major cause in many accidents. 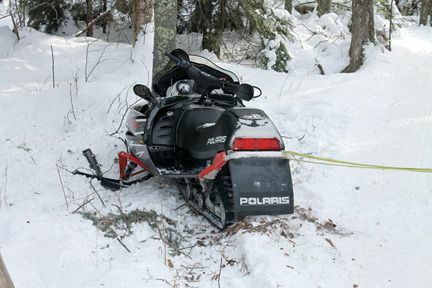 Another common cause are dangers on the snowmobile trails by property owners, such as chain link fences that stretch across the trail and cause serious injuries to riders. Drivers who cause accidents can be held accountable for money damages if they are negligent in the operation of their snowmobile or intoxicated at the time. Property owners can also be held responsible if they are aware that snowmobile riders use their property and they have known dangers on the property. It is important that a Michigan snowmobile accident victim contact our office immediately to investigate a case. Many times, the wrongdoers will deny fault and blame the victim. When contacted, our office can immediately locate witnesses, obtain evidence, and take other measures to prove your case. If you or a member of your family is a Michigan snowmobile accident victim, you should contact our firm immediately.